Once upon a time there was a silly-billy who carried a cow, a Bad Hair Witch and three pesky pigs - but did they all live happily ever after? Open up to find out what happens next in these brain-ticklingly brilliant Seriously Silly Stories! They're scarily silly! 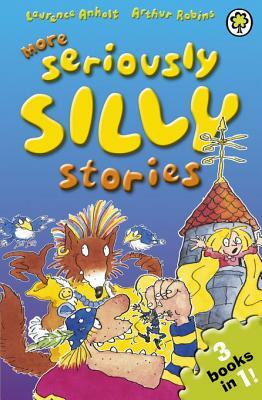 Includes Daft Jack and the Bean Stack (shortlisted for the Sheffield Children's Book Award), Shampoozel (Children's Book Award Pick of the Year) and Eco-Wolf and the Three Pigs (shortlisted for Blue Peter Book Awards).